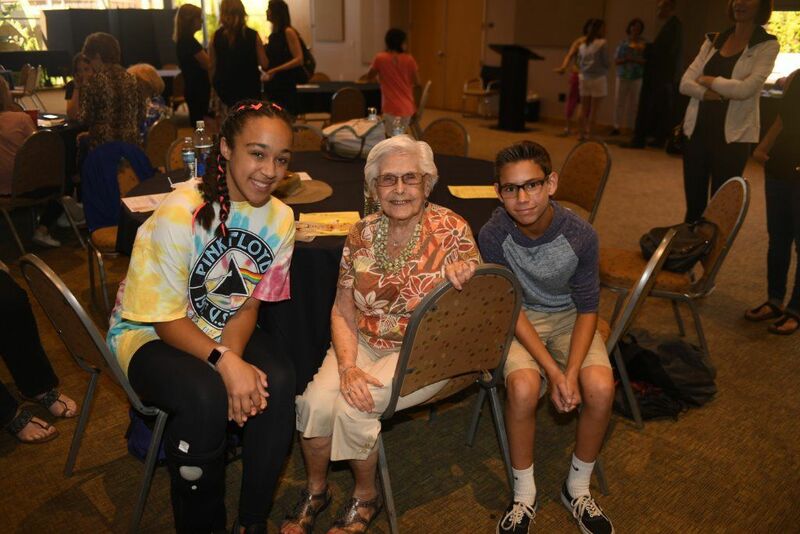 Freda Pine of Pueblo Norte, center, visits with Michelle Jung and Evan Silver, Pardes eighth-graders, at the April 21 culminating event for BJE’s Better Together program. Julia Caplan, right, is the first-place winner of the Bureau of Jewish Education’s Better Together Better2Write contest. At left is Andre Ivory, BJE outreach coordinator. The Bureau of Jewish Education (BJE) partnered with the eighth-graders at Pardes Jewish Day School this year for the Better Together program, which provides an opportunity for students to interact with older members of the Jewish community, as well as hear about and learn from the adults’ life experiences. The program provides a way to keep the older generation involved and allows seniors to feel important and needed, according to the BJE. As part of the program, which is funded by a national foundation that chooses to remain anonymous, students entered the “Better2Write” contest, writing and highlighting their monthly experiences and their ideas about working with the elderly. Five Pardes students received honorable mention for their essays: Ari Anderson, Marisa Greenberg, Raechel Rawicz, Simone Rawicz and Kori Schwarz. Students and seniors met monthly during lunchtime from September through April, participating in a variety of activities that allowed the participants to learn from each other and develop relationships. The culminating event was April 21, when the teens and seniors got together with their parents for root beer floats, sundaes and other refreshments. 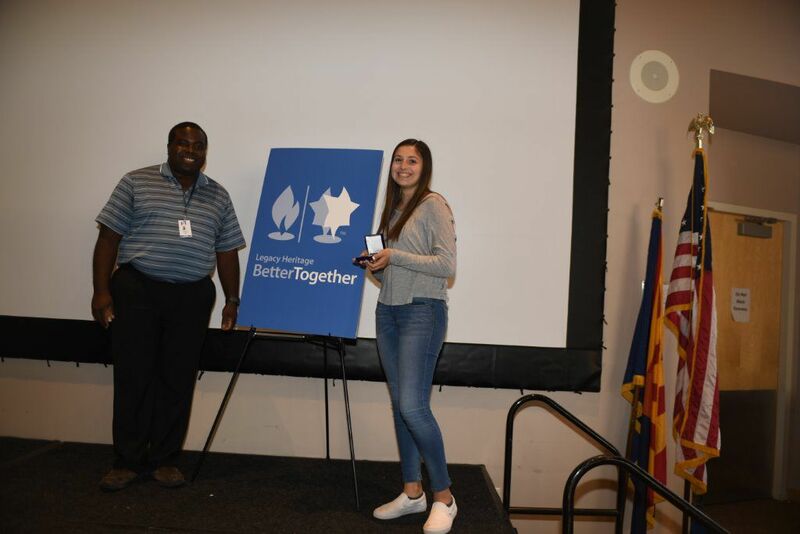 It was announced at the event that the Better Together program will return in the fall.